Wild babies are most often not orphaned! 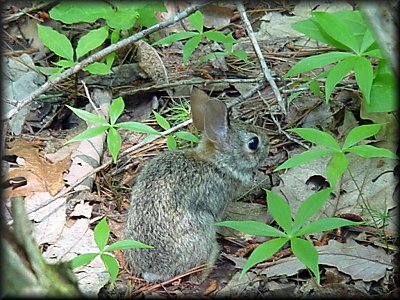 Many people mean well when they contact HRS after discovering an “abandoned” nest of wild rabbits. Often they wish to “rehabilitate” them with some advice from others. The reality is fewer than 10% of orphaned rabbits survive a week, and the care that people attempt to provide can be illegal, unnecessary, and potentially harmful. The best thing you can do is put the bunny right back where you found him, in the general area, as the mom will only come back at night to call and find him. Leave the area.